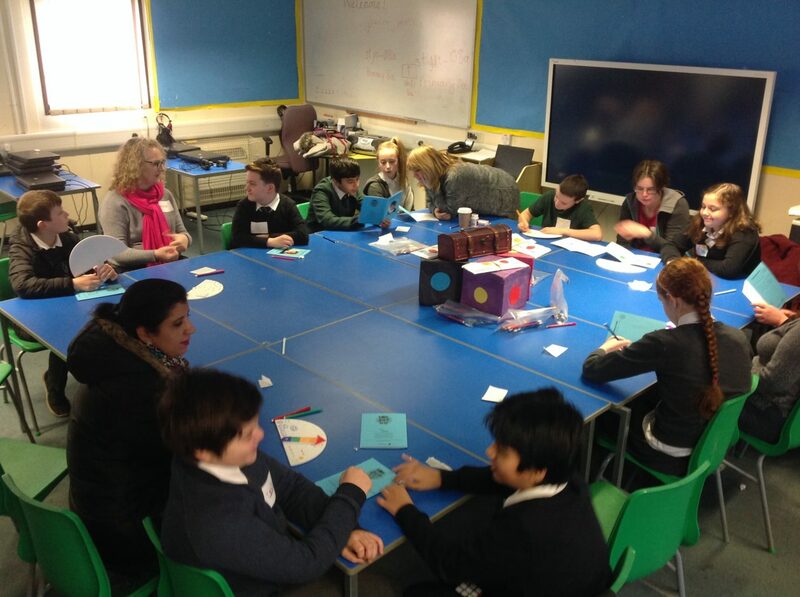 For their final workshop with adults the students of St. John’s delivered a workshop for some of their parents and members of the parent council. They did extremely well talking with people closer to home and demonstrating all the great work they have done. Some children chose to partner with their parents and others didn’t, but they followed the same practiced format of show and tell, using the Dignometers and Community Ambassador Passports as talking aids. The Dice Game was an opportunity to share differing points of view and for adults to offer their perceptions and reflections on our central themes – Trust, Kindness, Empathy and Human Dignity. It was great to see families engaging in discussion on these issues. The combination of Sandy’s Story and the freeze frames allowed another opportunity to talk openly about the challenges of bullying and who children can ask for help. Reflections were made about the role of teachers, head teachers, parents and strangers. Again adults were impacted by the fact that children can feel adults are bystanders and not always approachable or willing to practically help. The Ambassadors did an excellent job of articulating themselves and contributing as equals in the conversation. Then the group watched the Children’s Parliament Investigates Bullying video and the workshop participants made their pledges. A couple of these are found below. You can also see all the pledges made by adults who have accessed our workshops in our Adult Pledge page.